At one time a dominant player in golf, Tiger Woods has struggled in recent years. 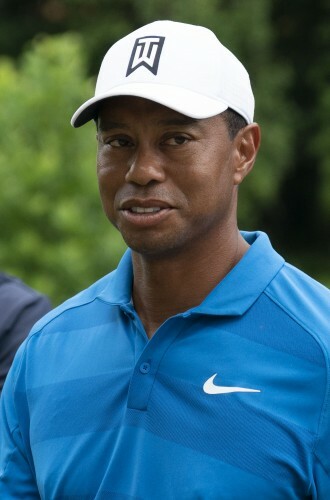 Before Sunday’s victory at the TOUR Championship at East Lake Golf Club in Atlanta, Georgia, Woods had not won a PGA tournament in 1,876 days, since the Bridgestone Invitational way back in August 2013. It was a long time coming, but Eldrick “Tiger” Woods has ended a five year slump with a tournament win this past weekend. At one time a dominant player in golf, Woods has struggled to achieve what would become his 80th PGA victory. Before Sunday’s TOUR Championship win at East Lake Golf Club in Atlanta, Georgia, Woods had not won a PGA tournament in 1,876 days, since the Bridgestone Invitational way back in August 2013. A year ago — after four back surgeries, it wasn’t clear if Woods would even return to professional golf, much less win a tournament. At that time, Woods was still waiting for his lower back to recover and struggled to rise from the couch to watch his children play soccer, much less practice putting. He wondered if all he had left were the memories of his previous accomplishments. When Woods returned to competition in December of last year, he was ranked 1,199. Through hard work and dedication, he moved up the ranks to number 20 by the time of the TOUR Championship. After Sunday’s win, he’s now ranked at number 13. He finished the TOUR Championship at 11-under 269. That resulted in a $1.62 million payday, plus a $3 million bonus for finishing second in the FedEx Cup. A birdie by Justin Rose in the 18th hole was the difference between Woods winning the FedEx Cup. Rose finished in a three-way tie for fourth, which gave him the FedEx Cup and the $10-million bonus. Given what Woods had to overcome to get this far, not winning what would have been his third FedEx title was a minor disappointment. Unbeknownst to Woods, Rose’s four bogeys over the last ten holes cost him the number one ranking. Dustin Johnson, who shot 67 and finished third is the new leader. The next up for Woods is the Ryder Cup in France.